PLEASE NOTE: a permit is required when you build, enlarge or make structural changes to a deck. Simplify the permit process – download, print and fill out the Deck-Framing-Plan prior to applying for the permit. 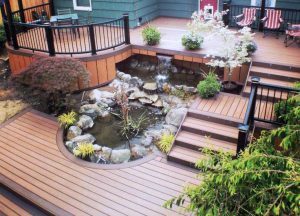 We offer treated lumber products, composite decking and engineered wood options (see below) – contact us to get started on your dream deck, today! 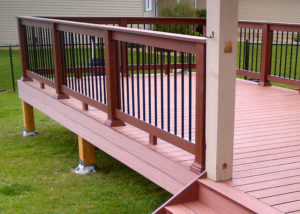 We recommend a Wisconsin Code Approved – Diamond Pier Foundation decking system for your all your decking projects. No digging deep holes, pouring concrete or repairing landscape – Watch how easy it is to install: YouTube Video. This system carries a Limited Lifetime Warranty and is ESR Code Approved. 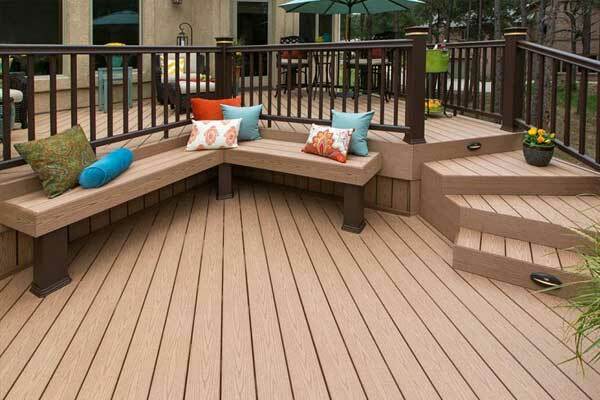 High quality TimberTech Composite Decking materials can build a dream deck that is durable, low maintenance and beautiful with a natural wood appearance. Not sure which product is right for you? 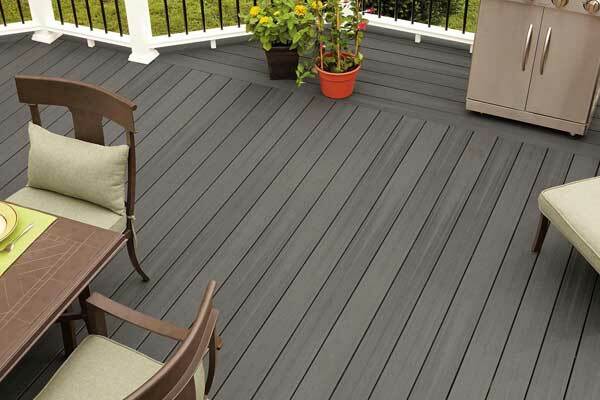 Decking options include TwinFinish, ReliaBoard, Earthwood Evolutions Legacy, Earthwood Evolutions Tropical, Earthwood Evolutions Terrain. Check out their Decking Comparison Chart. 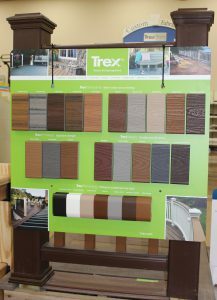 Trex Composite Decking products create long-lasting, beautiful decks that offer the look and feel of wood without the upkeep and cost. Trex is a leader in outdoor living providing quality, high-performing products that allow for endless design opportunities and require minimal maintenance. 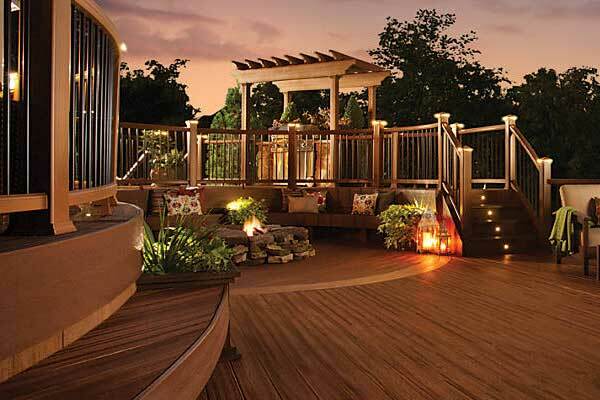 With Trex decking, railing, framing, porch, fascia and trim, you can create spaces where you can truly escape. Choose from these Trex Collections: Trex Transcend®, Trex Enhance®, Trex Select®, Trex® Reveal™, Trex® Composite Railing, and Trex® Fascia. Biewer Lumber™ manufactures a wide variety of building applications including treated dimension lumber, decking and timber products, and engineered wood products. Select Cut® – Appearance Grade Lumber: Biewer Lumber’s signature product is hand selected, appearance-grade lumber, and is the leading choice for contractors and builders in the Midwest. It’s straighter and has less wane than typical standard construction-grade lumber, and is smooth on all four sides. You’ll appreciate the natural beauty of Red Pine, too—the wood boasts a distinctive knot and grain pattern. Fiberon® – PVC and Composite Deck & Railing: provides you with the freedom and flexibility to create an outdoor experience unlike any other. From classic to contemporary, traditional grains to exotic hardwoods, find the look you love no matter what your style. Biewer Lumber’s Fire-Retardant Treated Wood (FRTW): for both interior and exterior applications, Biewer Lumber FRTW combines the flexibility and environmental advantages of wood with reliable fire protection; Dricon, FRX® and LP® Flameblock. 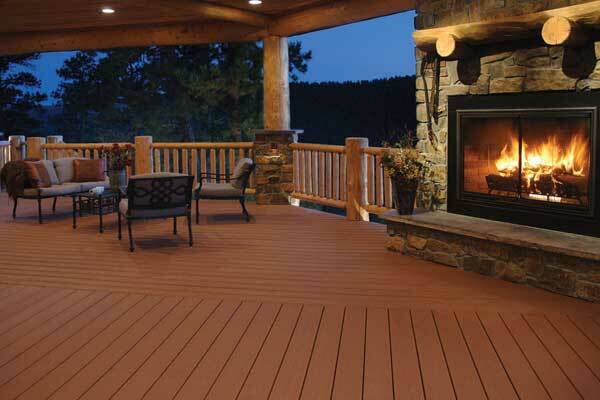 Everguard Pressure-Treated Wood: perfect for decks, porches, outdoor structures and other projects, and is the best protection against rot, fungal decay and termite attack. Permanent Wood Foundations (PWF): an engineered foundation construction system made with pressure-treated plywood and lumber. PWF walls are designed to resist and distribute earth, wind, seismic loads and stresses that may crack other foundation materials. Kleer Cellular PVC Trim: has the authentic look of real wood but not the ongoing maintenance issues associated with it. Kleer is impervious to moisture so it offers superior durability and low maintenance. Composite Decking never looked so good! Envision’s unmatched beauty combined with greater durability and less maintenance than natural wood means you’ll be relaxing luxuriously for years to come in a space that inspires you. 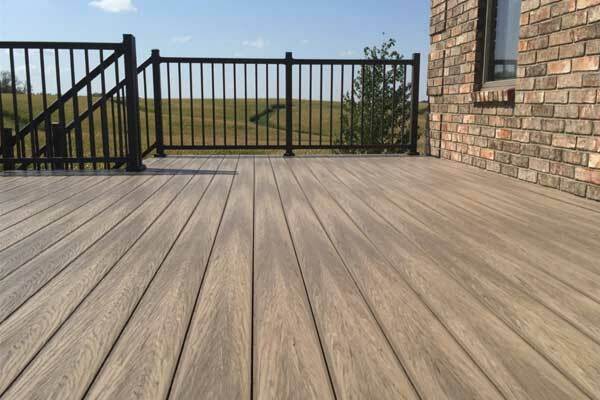 Four lines available to enhance the look of your deck for years to come: Envision Distinction, Envision Inspiration, Envision Expression, and EverGrain Composite Lumber. JAM Systems is a leader in high-performance, low maintenance wood alternative products that are high-quality, easy to install and reliable.